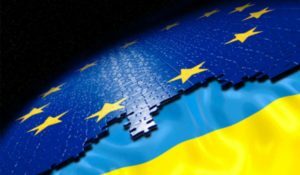 The European Commission is ready to cooperate with any candidate elected in the presidential elections in Ukraine, Katarina Mathernova, the Deputy Director-General for Neighborhood and Enlargement Negotiations at the European Commission, said in a comment to Hromadske. She said it doesn’t matter whether Zelensky [showman Volodymyr Zelensky] or Poroshenko [incumbent President Petro Poroshenko] will be elected, they will work with any of them. Mathernova said that Zelensky was not known in the political sphere, therefore, the voice of Ukrainian civil society should be especially heard and supported. If there is Poroshenko’s second term, we know that the second term is still a slightly different mobilization, a new factor for civil society, she added. The Ukrainian Sea Ports Authority and Port of Antwerp International/APEC (Belgium) have signed a memorandum of understanding. The document provides for a detailed analysis of the strengths and weaknesses of Ukrainian seaports and further interaction in order to attract investment in their development. 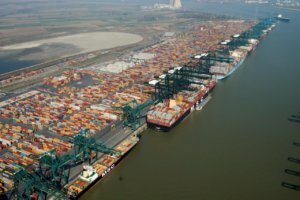 “Experts from Port Antwerp International will conduct a SWOT-analysis of the situation in Ukrainian seaports and will formulate a plan of partnership assistance in implementation of the development strategy of Ukrainian seaports,” Ukrainian Sea Ports Authority Head Raivis Veckagans said. He said that trainings for specialists of the Ukrainian authority start this week in the areas of pricing for port services, work within the framework of port landlord model, concession project implementation, as well as the peculiarities of the interaction of environmental services in the port. Managing director of Port of Antwerp International and the APEC Port Training Center Kristof Waterschoot said that the Black Sea region and, in particular, the seaports of Ukraine are now at the center of attention of international experts. The Ukrainian authority also said that Port of Antwerp International is acting internationally, not only as a consultant, but also as an investor. In particular, the company invested $10 million in Porto do Aç (Brazil) in 2017 and more than $2 million in the port of San Pedro (West Africa) in 2016. “Further cooperation with Ukrainian ports will also consider the possibility of Belgian and international experts participation in attracting investments and implementing projects on development of port infrastructure in the seaports of Ukraine,” the authority said. 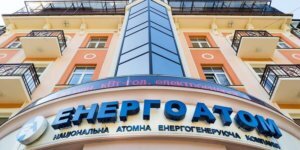 National Nuclear Generating Company Energoatom plans to fully load Westinghouse fuel to four reactors of Zaporizhia nuclear power plant (NPP) in 2019-2021, the press service of the company reported after a meeting of the panel for the installation of Westinghouse fuel assemblies at Ukrainian NPPs. It is planned that in 2019-2021, the active zones of the first, third, fourth and fifth reactors of Zaporizhia NPP will completely have U.S. nuclear fuel. The second and sixth reactors of Zaporizhia NPP are planned to continue to be operated using only Russian nuclear fuel,” the press service said. The press service said that in 2016, Westinghouse nuclear fuel (one fourth of the total volume, three fourth was the Russian fuel) was loaded into the active zone of the fifth reactor of Zaporizhia NPP. In June 2017, another batch of Westinghouse fuel was added to this reactor, after which its quantity in the active zone reached a half. In September-October 2017, Westinghouse fuel (one fourth of the total volume for each reactor) was loaded into the active zones of the first, third and fourth reactors of Zaporizhia NPP. According to the company’s plans, in 2018 it is planned to increase the loading of Westinghouse fuel to the core of the fifth reactor with to three fourth of the total volume, and the first and third reactors to a half. Loading of the next batch of Westinghouse fuel into the active zone of the fourth reactor of Zaporizhia NPP is planned for 2019 in connection with the performance of works to extend the life of this facility.